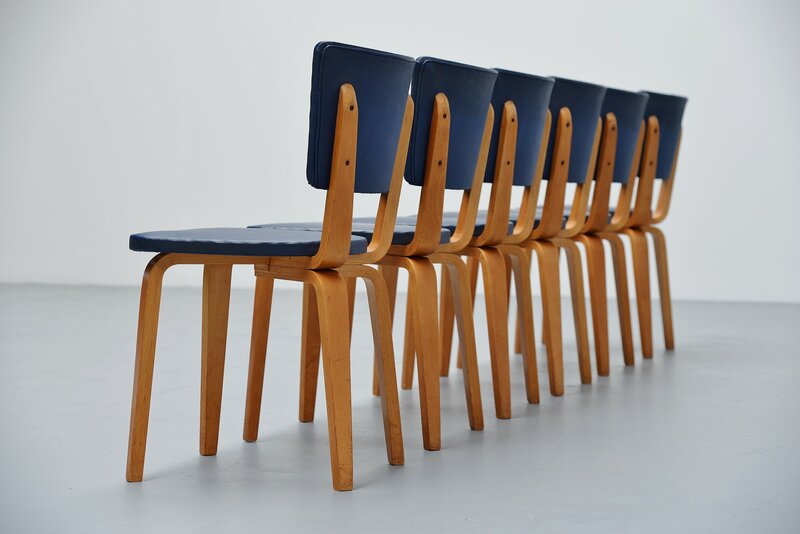 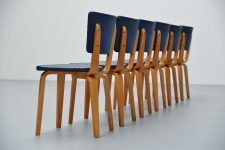 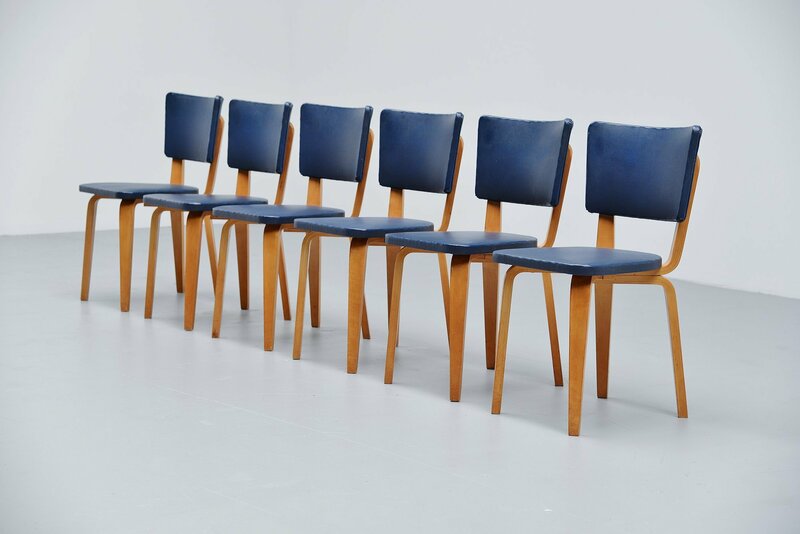 Nice and original set of 6 dining chairs designed by Cor Alons and manufactured by Gouda den Boer, Holland 1949. 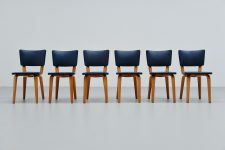 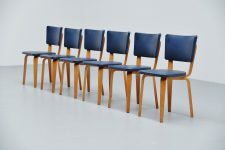 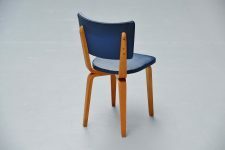 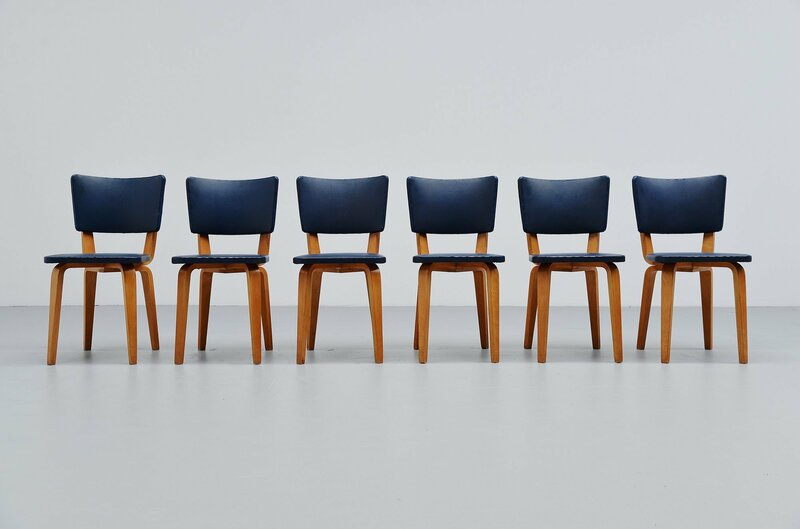 These chairs are model 500 and have birch plywood frames with original dark blue faux leather upholstery. 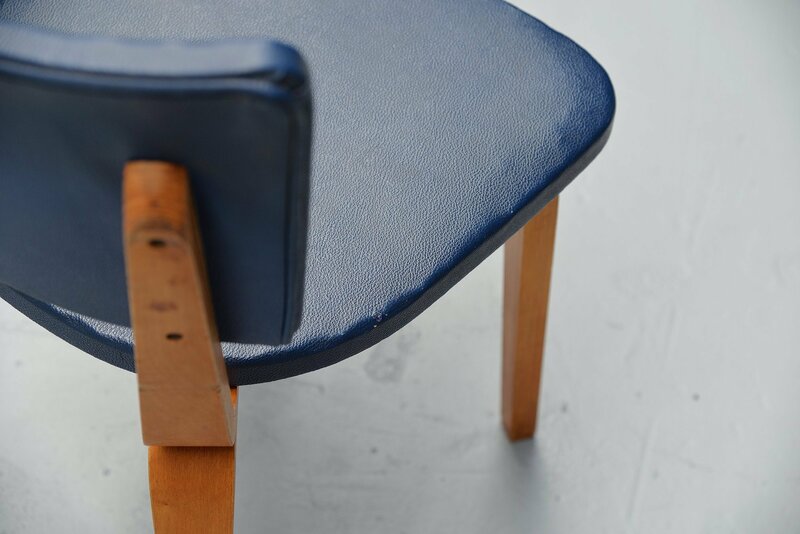 The upholstery is compared to its age in good condition with minor marks from age and usage. 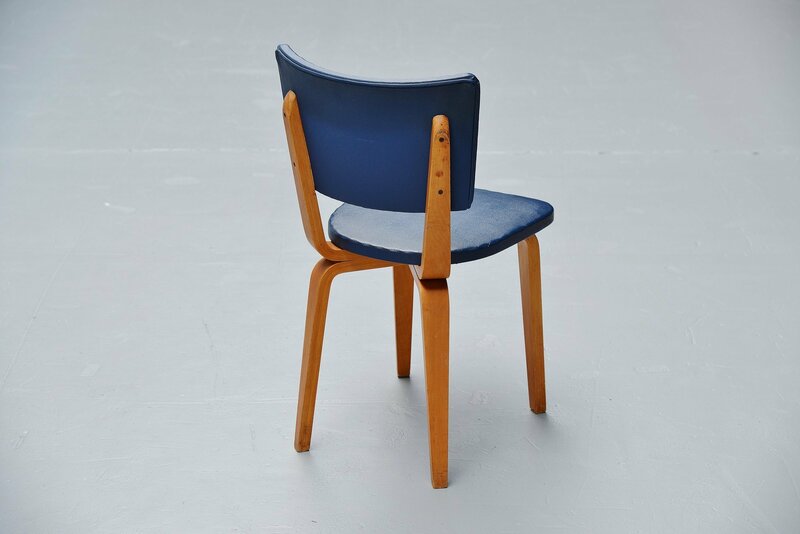 The dark blue vynil is nice in contrast with the birch plywood. 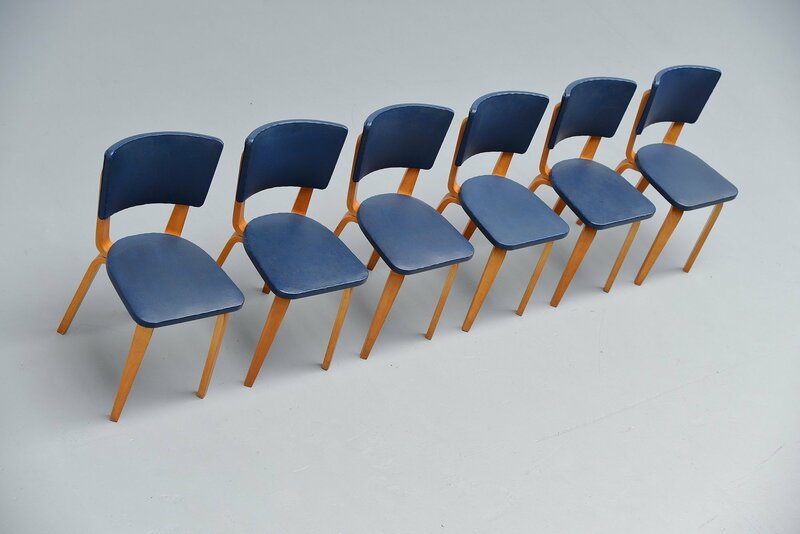 Comfortable set of 6 chairs.